The marketing world loves its buzzwords. Every year there’s a new buzzword, tactic, hack, or template that has everyone foaming at the mouth. A new process which is “guaranteed” to grow your business to exponential levels. Often, these trends burn out quickly. You’ll see an influx of new “gurus”, a handful of success stories, and several derivative products. But after a couple of weeks, these new trends disappear and everyone moves onto the next new thing. But sometimes, these trends have some staying power. They have the power to change the marketing world and the way brands like yours engage with their users. One such trend is the popularization of conversational commerce. In the span of a just a few short years conversational commerce has skyrocketed to the top of many businesses must have list. You might not realize it but brands including Sephora, 1-800 flowers, and Staples have put a ton of money into developing a conversational approach to their ecommerce efforts. With every passing month, an increasing number of brands are adopting a more conversational approach to their marketing. This increased popularity has caused a buzz around the term. Yet, despite the buzz, there’s a staggering level of ignorance. Most people have heard of conversational commerce, but aren’t exactly sure what it is. The term conversational commerce was coined in 2015 by Chris Messina, an ex-Uber, ex-Google employee. In short, Chris predicted that messaging apps like Facebook Messenger and WhatsApp would be used to facilitate online sales in a more convenient, conversational manner. One which allows users to not just message brands, but to interact with them in real time. One of the stand out quotes from his 2015 piece is included below. That’s all well and good. But the theoretical explanations can only take us so far in understanding how conversational commerce is going to change the ecommerce world. To better illustrate how things might change for your business, let’s examine how conversational commerce will work in the real world. But How Does it Work in the Real World? Imagine you’ve entered your local Apple store; after walking through the door what happens? Does a member of staff jump out from behind the door and scream about the 10% off iPhone X sale? Do they accost and hound you for your email address, telephone number, or mailing address? Do they wait by the exit to surprise you with a last minute, awesome, one time only deal to prevent you from exiting the store? No. Sales assistants are there to assist you. They’re not there for the hard sell but to advise, assist, and educate you on the best products for your needs. And that’s been the big difference between ecommerce and retail. For years online stores have resorted to overly aggressive sales tactics like entry popups, exit intent overlays, and the spamming of email addresses with the latest offers. They’ve resorted to talking at consumers, rarely giving them a chance to voice their own concerns or guide the conversation into an area that’s truly helpful for them. It’s annoying and usually ends in a predictable response. It’s also not natural. Face-to-face sales aren’t made by throwing deal after deal at your users. They’re made by opening a dialogue and offering valuable solutions to problems. This is the gulf conversational commerce closes. Conversational commerce isn’t reliant on cheap conversion tactics like limited time deals or excessive overlays. It’s not about wearing your users down by talking at them until they finally relent and open their wallet. Conversational commerce opens a dialogue with your visitors. It asks them how you can help so you can then provide the most relevant, useful suggestion for them. In it’s simplest form, I like to think of conversational commerce as the closest thing the digital world has to face-to-face customer service. Through the use of apps and platforms like Facebook Messenger, WhatsApp, Talk, and WeChat customers are able to not just interact with brands as they can through Twitter, but they’re able to converse in real time. Customers can do everything from solicit basic customer service, get customer support, seek assistance and, thanks to certain apps like Recart and ManyChat, even complete purchases from within the messenger app. The big difference with conversational vs traditional commerce is how these conversations are handled. In short, it’s all instant. The user sends a message and the brand sends an immediate response from either a real person or from automated chat bots that are able to parse keywords to judge the most relevant response. For a real example, check out the short example below of me asking the eBay ShopBot for some help. For the customer, conversational commerce means better customer service. Instead of waiting for a 24-hour turnaround on email responses, for a call back that might never happen, or having to struggle through extensive product selections they get instant responses to all but the most complex of queries. Not only does mirroring a real conversation make the process more intuitive for your users, but as you can see in the above eBay example, it can all be handled from a single location. No flipping back between service A, tab B, and app C. One location to handle the entirety of the conversation and purchase journey. Another great example of this is the Uber and Facebook Messenger integration. As soon as someone in the chat would mention a destination, you’d have the option to book a ride to get there. However, whilst amazing examples, both eBay and Uber’s integrations are very code-heavy and likely not something most smaller business could imitate. Well, at least they weren’t. Thanks to platforms like Recart you’re now able to link your ecommerce store to Messenger with no need to handle any coding yourself. Sounds great, right. But what’s the overall benefit for your customer? The primary benefit is that they receive a simple, more logical purchase journey that can be handled from one location. With the right platforms, you can recreate large sections of your sales process without the user ever having to leave messenger. It’s great because it not only reduces the complexity of the purchase journey by minimizing the steps a user needs to take, but it’s also closer to a 1:1 conversation with your brand. A 1:1 conversations which we all want when asking for purchasing advice or seeking customer service. 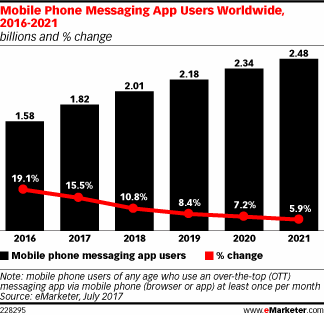 Consumers are turning to messaging services and apps to handle huge amounts of their communication. That’s not just for their personal communications, nor does it stop at the customer service requests for business. No. Customers are turning their attention to messenger services for commerce as well. The versatility and immediate responses inherent in messenger apps are the cause of their increasing popularity. As a brand, you want to focus your communication efforts on the channels your users favor. The more of your users using a particular channel, the more likely you are to see success through leveraging it. Doing so simply offers your business the largest reach. To continue on platforms that are waning in popularity is consigning your business to an early grave a few years from now. 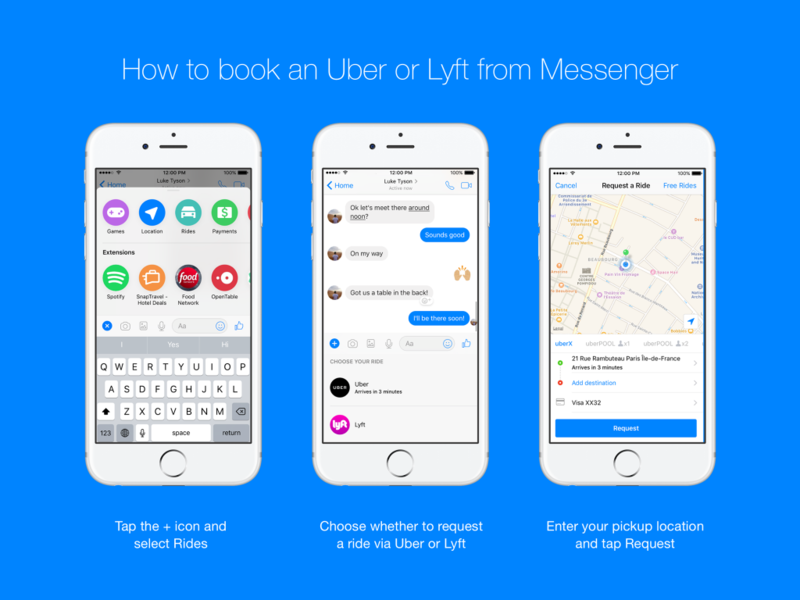 But the increased reach and ease of communication aren’t the only benefits conversational commerce and messenger services provide. In addition to conversational commerce becoming the defacto communication method, it’s also far more effective for your brand. We’ve tested conversational methods of customer communication through Facebook Messenger extensively. Our tests uncovered that when compared to the current ROI favorite channel email, Messenger is far more effective at generating engagement and responses. 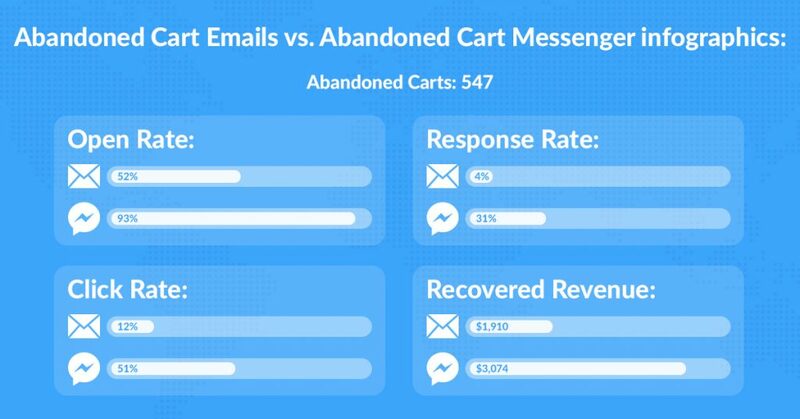 Whilst we’ve seen similar results from countless ongoing tests, the questions of why Messenger apps and conversational commerce are so effective remains. We believe the answers are pretty simple. Basically, your messages have a far higher chance of reaching the user, and then a far better chance of being opened because there’s a physical and audio prompt to do so. But response and click rates are where the money is, so what’s the reason these are so big? Well, again it’s partly thanks to the improved reach. With more people reading your messages there’s more chance they’re going to click and respond. However, another primary issue we believe plays a huge role is the length and tone of the message. Emails are long. Even the short form ones are often a few hundred words. They require a subconscious commitment from the user. If it looks like too much work when they open it, they’re simply going to ignore it. As mobile use increases so too does the number of people reading emails on small screens. 150 words might not seem a lot for desktop, but its an almost insurmountable task for many mobile users. It stands to reason that if simply reading your emails is a difficult commitment, then writing a response is all but impossible. Messenger, on the other hand, provides short messages that users can respond to in seconds with either the click of a button (see the eBay ChatBot above) or the typing of a handful of words. It’s more engaging because it requires less effort and commitment from the user. In short, conversational commerce through Messenger apps requires less effort to create, but also elicits a greater level of customer engagement. The only real problem conversational commerce presents is in the first word. Conversational. If you’ve got consumers constantly messaging you’re going to spend the majority of your day responding to their questions, right? Much like email there’s a tonne of services that allow you to automate responses based on keywords or that present general answers for your customers to click on, leading to an informative, engaging sequence. A sequence that’s fully automated. Here’s an example I threw together of the cart abandonment process from the user’s perspective on one of Recart’s test stores. The user finds a product they like, clicks the “send to Messenger widget”, and adds the product to their cart. For an unknown reason, they then decide to abandon their purchase. One hour later their phone buzzes and they see the below notifications. They see the notifications and, upon clicking them, experience the below. 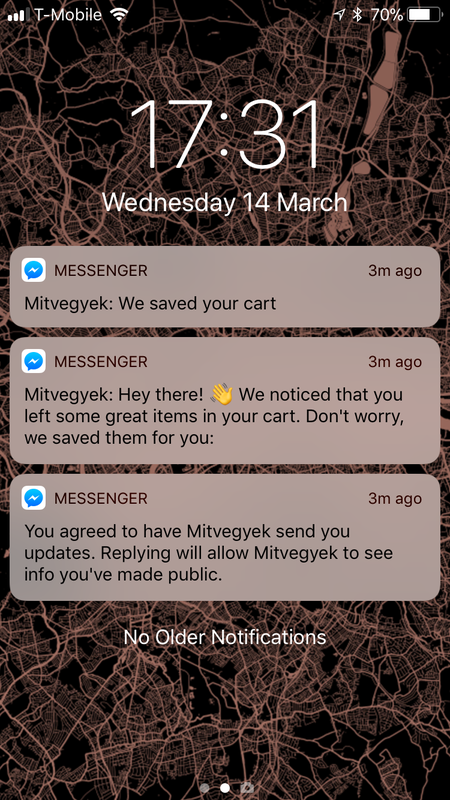 You’ll notice that from the time the cart abandonment notification is clicked, the user never leaves the Messenger app. Everything is handled in that single location, and through short messages that are quick to read and understand. Conversational commerce is the future of marketing. Messenger apps are where the consumers want to be because they provide a better service. They provide far better results for your brand which leads to greater revenue gains and faster growth. If you’ve not yet got started with conversational commerce for your store, there’s no better time to start than now. Be sure to sign up for a free Recart account by clicking here to start driving more revenue before the end of the week. Pete Boyle is a conversion copywriter and content manager for Recart. He's helped various eCommerce brands increase their revenue through streamlined sales funnels and more effective copy. You can connect with him on Twitter or on his personal site, PJBoyle.com.